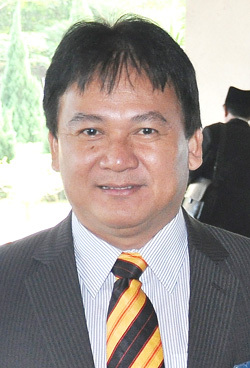 KUCHING: The RM500 million Rural Transformation Programme (RTP) allocation next year should not be limited only to assemblypersons from Gabungan Parti Sarawak (GPS). Ali Biju (PKR – Krian) said he welcomed the increased allocation for RTP under 2019 State Budget to enable rural areas rural areas to catch up in terms of development. However, he was not happy that the allocation was only for seats held by GPS. I request to the Chief Minister to consider distributing the allocation to all state seats in Sarawak irrespective of political leaning. This is to ensure fairness and a well balanced development. It is not wise to practice favouritism in the channelling of development funds meant for the people. Such policy is unfair, he said when debating the Supply Bill 2019 at the State Legislative Assembly. Nonetheless, he suggested that allocation for non-GPS held seats to be channeled to a relevant government agency for utilisation, if the government does not wish to release the funds to the opposition assemblypersons. On another matter, he called on the state government to clarify a circular prohibiting community leaders from attending programmes and events organised by Pakatan Harapan federal government. He said some community leaders had misinterpreted the circular to believe that they should attend any functions and programmes by PH elected representatives . I’d agree if such a circular was targeted for only for political activities but not for community-based activities he said.